Your dorm room decor is about more than just posters on your wall and your dorm bedding. Dorm room decor is also about items that make you laugh when you look at them and cheer you up on a bad day. When you're in college, one of your dorm supplies may be a corkboard. Why have plain pushpins when you can have some suit and tie Pinhead Pushpins for Corkboards? 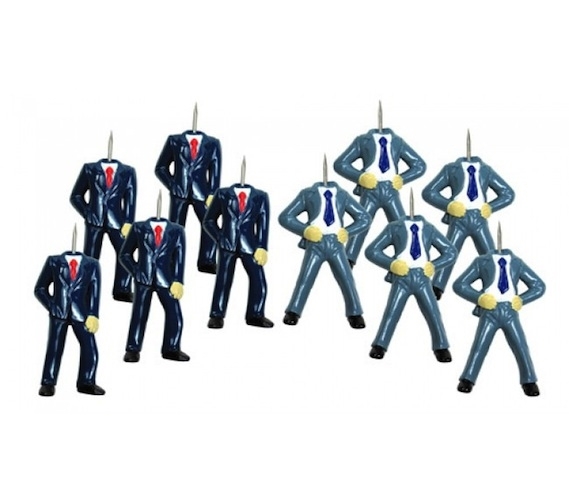 Our suit and tie pushpins will not only make you laugh, but they can also help you remember things when combined with paper with important things on it such as an upcoming exam! You don't want to forget that! These Pinhead Pushpins for Corkboards won't let you forget it, either! 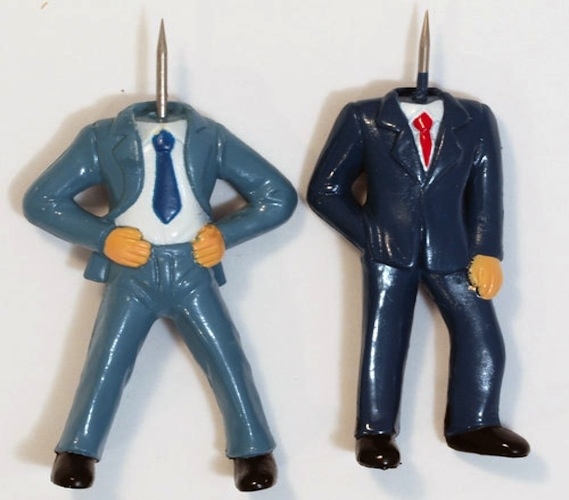 These Pinhead Pushpins are not only funny- since they're so unique, your attention will be drawn to them, which makes them perfect to use for important reminders over plain pushpins that blend in.